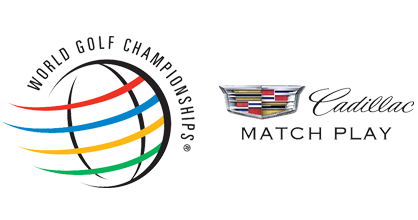 There are no PGA Tour and European Tour events this week as the world’s best golfers compete in the WGC Cadillac Match Play. This year’s Match Play event takes place in San Francisco and its set to be an incredible event with the likes of Rory McIlroy, Jordan Spieth, Justin Rose and Jason Day all peaking. The world number one Rory McIlroy is the bookies favourite but Jordan Spieth isn’t far behind in the betting after an excellent run of form. 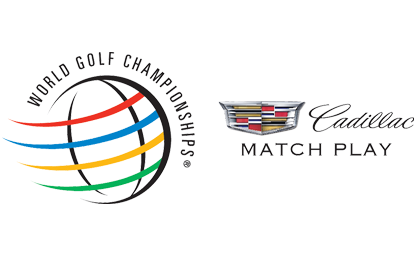 TPC Harding Park hosts the WGC Cadillac Match Play for the first time this week and it hasn’t hosted a major event since 2005. This isn’t ideal from a betting perspective however I’ve done my research and hopefully that’ll help us find the winner this week. TPC Harding Park is a par 72 that plays a relatively short 7,169 yards. Despite this I expect the bombers to have the advantage as usual. When this course was used in 2005 big hitters Tiger Woods and John Daly finished first and second. This is due to the lack of punishment for a wayward tee shot. Jason Day – My first bet for this event is Jason Day, who can be backed at a generous 16/1. Day won this event last year which suggests the matchplay format suits him and I’m slightly surprised he can be backed at 16/1. He comes into this week in decent form, he finished 28th in the Masters a few weeks ago and finished 4th in the Zurich Classic last week. This suggests his game is in a decent shape. At the start of the year Day stated how motivated he was to win more this year, therefore you’d expect him to put the work in ahead of this week’s World Golf Championship event. Brooks Koepka – I’m a big fan of Brooks Koepka, he’ll inevitably win majors in the future and I’m more than happy to take a chance on him at 66/1. The talented American recorded his first PGA Tour victory earlier this year and he also won on the European Tour last year. Admittedly Koepka hasn’t played much matchplay as a professional, although he does have the game to suit the format. He’s very long off the tee and makes a lot of birdies, this is advantageous in my opinion. Three weeks ago Koepka finished 33rd in The Masters despite dislocating his ribs a few weeks before the event. Reports suggest he is back to full fitness now which should give him every chance of winning this week. Billy Horschel – Billy Horschel strikes me as the kind of guy who would love the matchplay format and 80/1 seems on the generous side. Billy won the Fedex Cup last season which suggests he can win the big events and I can see no reason why he can’t go well this week. Horschel has made his last couple of cuts and has said that his game is close to his best. If this is the case Horschel should be considerably shorter than the 80/1 on offer this week.